Located in the heart of Western Montana’s stunning natural landscape, the University of Montana is a place where top-notch students, educators and researchers from across the country and around the globe come to thrive. Roughly 15,000 students attend UM and Missoula College, where they receive a world-class education. UM is Missoula’s largest employer, with nearly 3,000 faculty members and staff working year-round to keep this city within a city running smoothly. Established in 1893, UM remains the state’s leading liberal arts institution where students can choose from more than 90 fields of study that include the trades, liberal arts, graduate and postdoctoral study and professional training. The University is acclaimed for its high number of Rhodes, Udall and Fulbright Scholars. The nationally recognized creative writing program and journalism school count among their alumni a number of bestselling authors, as well as nine Pulitzer Prize winners. The University is a major source of research, continuing education, economic development, fine arts and cultural entertainment, as well as a driving force in strengthening Montana’s international ties and educational opportunities around the world. Faculty members and students alike engage in a wide range of research, creative activity and public service, with projects ranging from searching for exo-planets with NASA to unraveling mealybug symbiosis to improving the hospital discharge process for patients in rural areas. 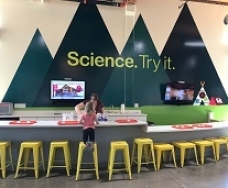 At UM learning is not confined to the Missoula campus. Educational opportunities stretch as far as the eye can see. With more than 3 million acres of nearby wilderness, UM offers a strong natural resource curriculum with opportunity for hands-on experience. The University operates the 30,000-acre Lubrecht Experimental Forest (managed by the College of Forestry and Conservation) and the oldest active biological station in the country: the Flathead Lake Biological Station, a world renowned facility for ecological studies and freshwater research. UM also provides countless cultural opportunities. 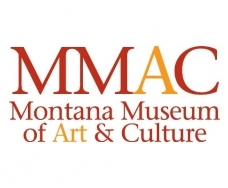 Montana Museum of Art & Culture is home to one of the oldest and most prominent fine art collections in the Rocky Mountain Northwest. The School of Theatre & Dance offers several major productions each year, including contemporary, historical, musical and experimental plays, as well as dance concerts. The Montana Repertory Theatre is a professional national touring company based at UM. The Gallery of Visual Arts and the University Center Gallery showcase UM students and faculty, visiting artists and exhibitions. The Missoula community and UM students, faculty and staff take particular pride in their Grizzlies, and the Griz have repaid this support with prominent records in NCAA Division I athletics. Not only are intercollegiate sports popular, but three out of four students are involved in the dozens of intramural sports offered through Campus Recreation. With excellent academic programs, active campus life, a beautiful environment and friendly atmosphere, the University of Montana offers an educational adventure unlike any other. The University of Montana campus was established as the site of the State of Montana Arboretum in 1991 by an act of the Montana State Legislature to “facilitate the scientific study and public exhibition of many species of trees and shrubs”. As the state arboretum, this unique resource belongs to all Montanans and also draws in visitors from out of state. Over 2200 trees of over 100 species have been planted on campus. The master plan for the arboretum is to showcase North American trees and shrubs, with an emphasis on Montana habitats. Many specimens have informational labels. Some of the trees, like the Hybrid Larch are literally “one of a kind,” having been created by crossing Western Larch with Alpine Larch. The State Arboretum also includes Memorial Row, an allee of ponderosa pine planted in 1919 to commemorate 32 UM war dead; a 1993 Montana Centennial planting of a tree or shrub representing each Montana county; and a recent replanting of the central UM Oval with a double ring of maple and oak trees, which emulates the Oval’s historical early campus layout. Further, as part of its role as a scientific laboratory, the State Arboretum at UM has been inventoried in a fashion that allows for assessment of energy savings, carbon sequestration, and other values contributing to the UM campus environment. The Arboretum, and the UM campus are open year round, all day, accessible to all. UM ranked number 12 on the Peace Corps' 2013 top colleges for producing volunteers. UM student-athletes earned GPAs of 3.02 during spring semester 2013. The Princeton Review has named UM one of the nation's most environmentally responsible "green colleges" for four consecutive years. 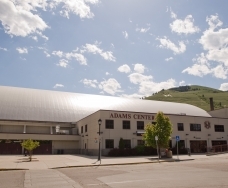 In 2012, the American Institute for Economic Research College Destinations Index ranked Missoula among the top college towns in the U.S.
Every School of Business Administration graduate from the Class of 2013 scored at or higher than the 90th percentile on the nationally administered Business Major Field Test. Eight UM undergraduates and graduates were named Fulbright Scholars for the 2013-2014 academic year.